(UPDATED) Donald E. Ogden of Winona Lake, Ind., died at 4:32 a.m. on Saturday, June 27, 2015, at Kosciusko Community Hospital, Warsaw, Ind. at the age of 88. Visitation will be 2:00 to 4:00 p.m., and 6:00 to 8:00 p.m., Thursday, July 02, 2015 at Redpath-Fruth Funeral Home, 225 Argonne Rd., Warsaw, IN 46580. A memorial service will be held at 10:30 a.m., Saturday, July 11, 2015, at the Winona Lake, Ind., Grace Brethren Church. Donald’s elementary and secondary education was in Southern California. His degrees include BA and MA in Church Music from Bob Jones University, received his Masters of Divinity from Grace Theological Seminary in Winona Lake, Ind., and his Masters of Music in Choral Conducting from Indiana University. He founded the Department of Music in 1950 at Grace College and Seminary and served as its chairman through 1987. For the next five years he served as the college and seminary Alumni Director, and he was the Professor of Music retiring in 1992. He has served two area churches as Minister of Music over a period of 42 years. 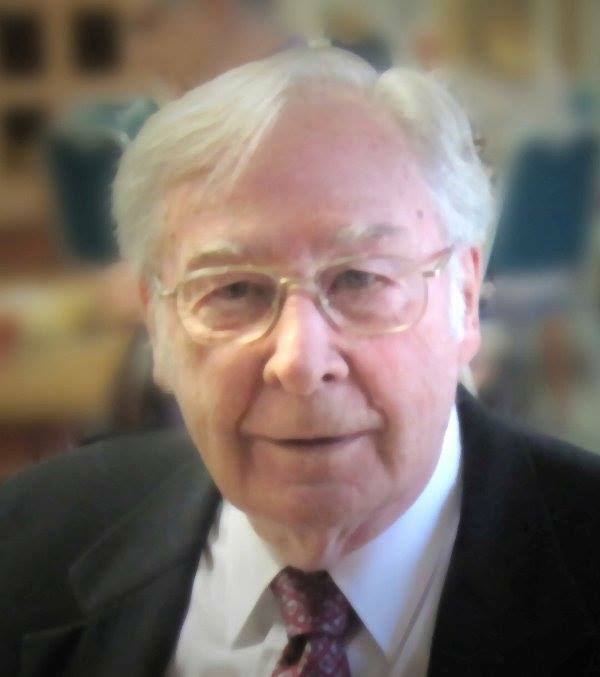 His contribution to Warsaw-Winona organizations include being a founding board member of Lakeland Community Concert Association, Kosciusko County Youth for Christ, Grace Community Orchestra, and New Frontiers with Riverwood Boys Ranch. He served for 10 years on the Board of Directors for Grace Village Retirement Community and Health Care. Special honors include the Alva J. McClain Award for Excellence in Teaching, Grace College 1970-1971; Grace Theological Seminary Distinguished Alumnus of the Year in1975; Certificate of recognition of “Dedicated service to the Community Concert Association and to the cultural progress of Warsaw” in 1981 presented by Community Concerts and Columbia Artists Management, Inc.
Two of his chief passions were the promotion of understanding and enjoying the music of “the masters,” both secular and sacred, and the preservation and meaningful use of great Christian hymnody. Don’s greatest delights have been his family relationships and the many strong bonds that developed between him and those he has worked with as peers and as students. But most of all he loved being a servant of the Lord. He was a member of Winona Lake Grace Brethren Church in Winona Lake, Ind., where he was ordained to the Christian Ministry. He was born on September 20, 1926 in Whittier, Calif., to Reverend William A. Ogden and Frances E. (Coffman) Ogden. On August 22, 1948, he was married to Wanita Reeves in Ithaca, Mich. She preceded him in death on October 18, 2006. On July 26, 2008 he married Ethelee (Ashby) Jones Ogden, who survives in Winona Lake, Ind. He will be lovingly remembered by his two daughters: Kathleen (husband James) Jenkins (Jacksonville, Fla.); Diane (husband Robert) Grenfell (Warsaw, Ind. ); one son: Ronald (wife Rebecca) Ogden (Winona Lake, Ind. ); seven grandchildren; two great-grandchildren; one brother: Richard D. Ogden (Warren, Ohio); and his sister: Jeane Vanaman (Clarkston, Mich.). There are many first and second generation nieces and nephews, including a number of adoptions, totaling more than 100 in the Ogden family and 25 in the Reeves family. He was preceded in death by his parents, first wife Wanita R. Ogden; one grandchild; one brother Reverend W. Russell Ogden, and his sister Helen Rasbach. Memorial donations may be directed to Grace College, 200 Seminary Drive, Winona Lake, Indiana 46590 and would be appreciate by his family.